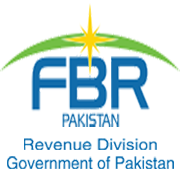 KARACHI: Directorate of Customs Intelligence & Investigation Karachi has booked several persons including Customs officials for dumping/storage of smuggled and non-duty-paid goods in the garb of import from KEPZ zone to tariff area through mis-declaration. Information was passed through Additional Director Intelligence & investigation-Customs, Regional Office, Karachi Ali Zaman Gardezi that that some unscrupulous importers are involved in smuggling of standard/prime quality paper and paper products of various types from Karachi Export Processing Zone (KEPZ) to the tariff area under the garb of ‘recovered, upgraded color paper/sheets from rejects/waste/stock lot material’ causing huge loss to the exchequer. 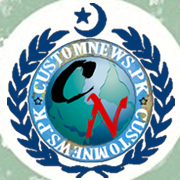 In pursuance of the information, Customs Intelligence staff intercepted a consignment of foreign origin different types of paper products loaded onto four trucks at Mehran Highway, Karachi. Upon cursory checking on the spot, huge reels of foreign origin Paper of various descriptions were found loaded onto the four trucks. Two persons, namely Sarfaraz Sardar and Syed Adnan Nasir (representatives of the importer) were leading the said vehicles. Both the said persons were asked to produce my document pertaining to lawful import/possession/transportation of the foreign origin goods loaded on to the four trucks. But they could not present any such document at the time. The recovered goods including carbonless paper, offset paper and bleach craft paper in large quantity were detained due to non production of import documents. 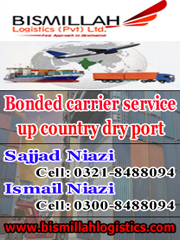 Later, Sarfaraz Safdar appeared at the directorate and informed the fifth truck of the detained consignment had escaped arrest and was unloaded at a warehouse in Landhi Industrial Area. 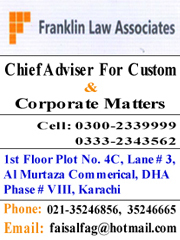 Subsequent investigation found that Ismail Zakarya Godil of M/s IAS Trading and M/s Maha Traders was the owner of goods at the warehouse; Muhammad Atique of M/s Ateeq Traders and M/s Euro Pack Industries was the owner of warehouses; M/s United International Industries KEPZ, Mohammad Ismail of M/s Shan corporation and other associates in crime were smuggling the goods from KEPZ to tariff area in the garb of imports through mis-declaration of actual description and dumping the non-duty paid goods at a warehouse. 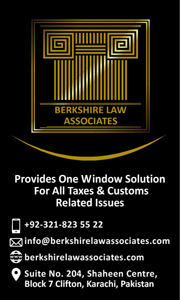 Sources said it was a mega scam and a principal appraiser Abdul Razzak and appraisers Akhtar Hussain Wala, Zahid Arain and Munir Brohi were involved in the scam and were facilitating the movement of the non-duty paid goods from KEPZ to tariff area. The scam was running for a long time causing huge revenue loss to the national exchequer. An FIR has been lodged and investigations are underway while efforts are being made to apprehend the absconders. Tagged DG I&I, dumping/storage, FIR, import from KEPZ zone, KEPZ, mis-declaration, non-duty paid goods, recovered goods, Ring involved, smuggling, tariff area busted.